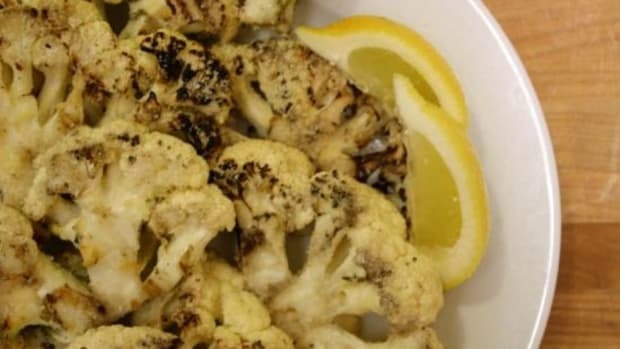 Cauliflower doubles as a steak when grilled. 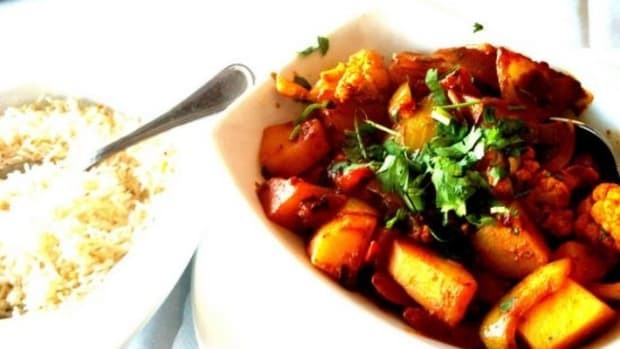 It&apos;s thick, hearty, and bears a charred appearance and taste. 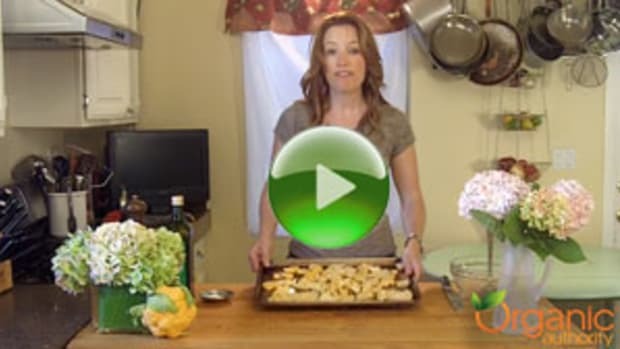 It also looks a lot like a tree - how fitting for a Mother Nature-honoring vegan dish! Served over a mash (or should I say clouds?) makes for a "meaty" experience you won&apos;t forget. 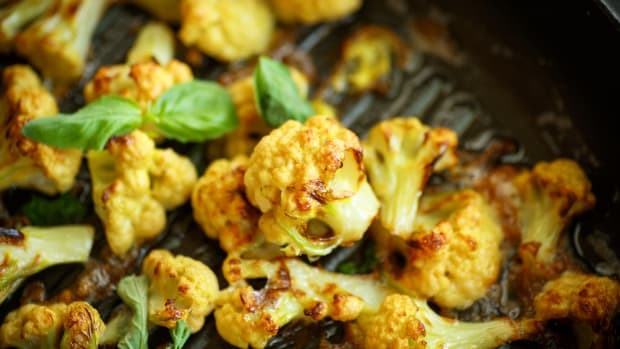 The satisfaction of this double cauliflower recipe is surprising, given the simplicity of it, and it really does justice to a plant-based diet. Less is most certainly more. Enjoy! Cut the cauliflower head in half and then again, parallel to the initial cut, about 2 inches deep into both halves, where the florets are still held together by the sturdiness of the core. 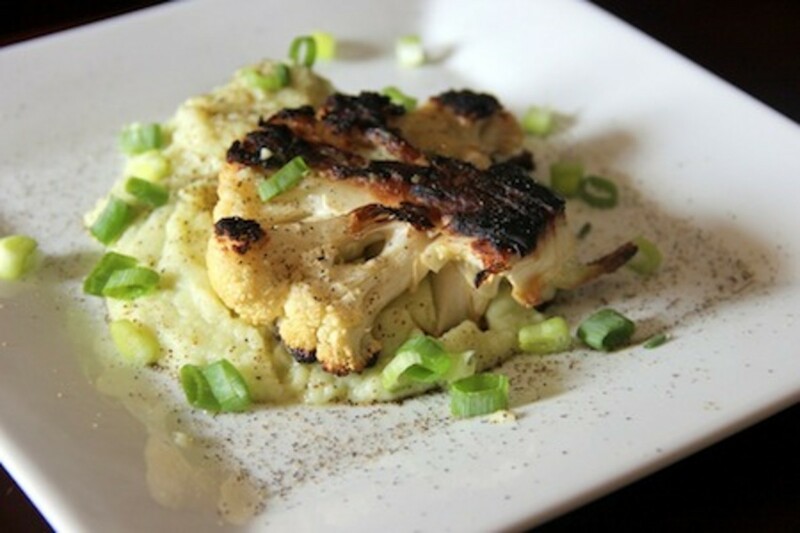 Set the remaining cauliflower aside, and reserve the 2 "tree" steaks. In a small oven-safe saucepan, melt 1/2 tablespoon of butter and sear both sides of the steaks until darkened – about 2 minutes each side. 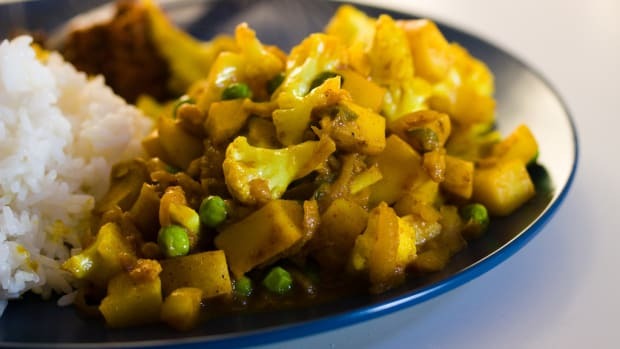 Pop the entire saucepan into the oven at 400 degrees Fahrenheit for 10 minutes. 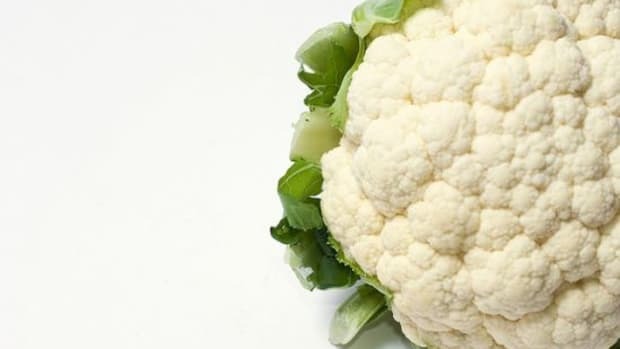 Meanwhile, chop the remainder of the cauliflower into pieces and boil in water with 1 teaspoon sea salt. 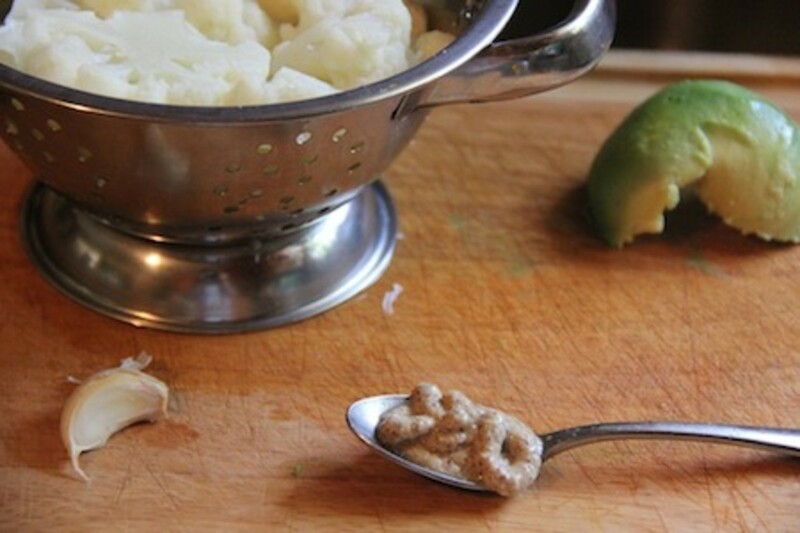 When the cauliflower has softened completely, drain and rinse. 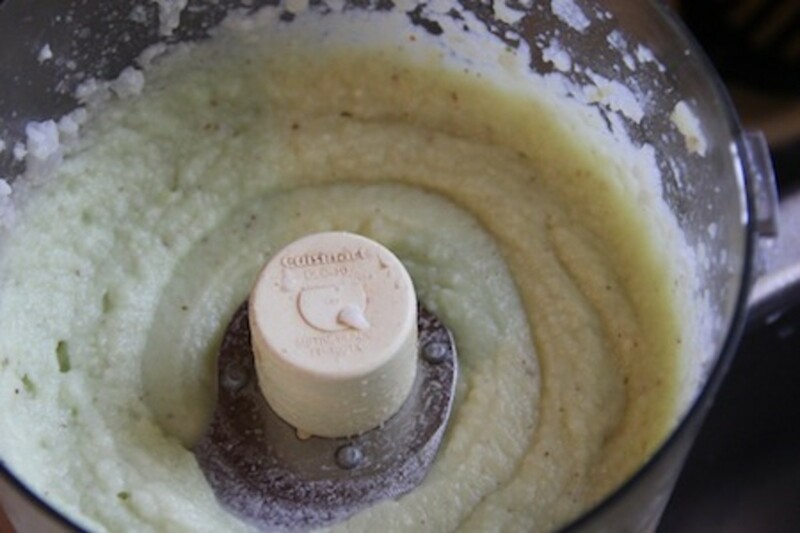 For the puree, process the boiled cauliflower with avocado, mustard, butter, garlic clove and salt until smooth. 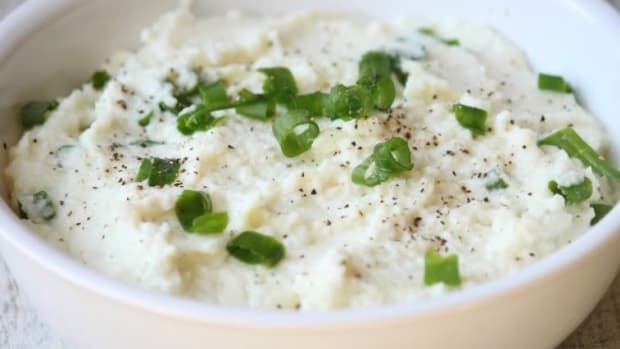 Serve the roasted steaks over the mash and garnish with chopped scallions and black pepper. 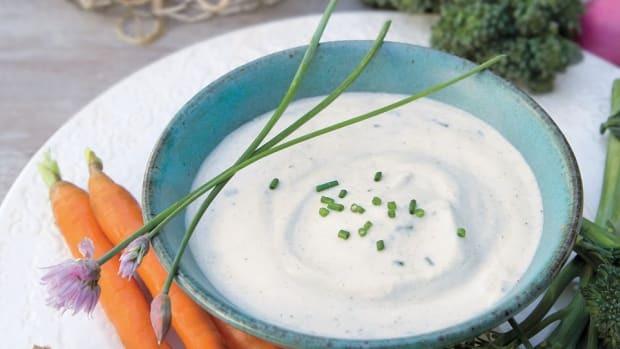 Cut off the florets with a knife and fork and dip into the sauce before taking each bite. 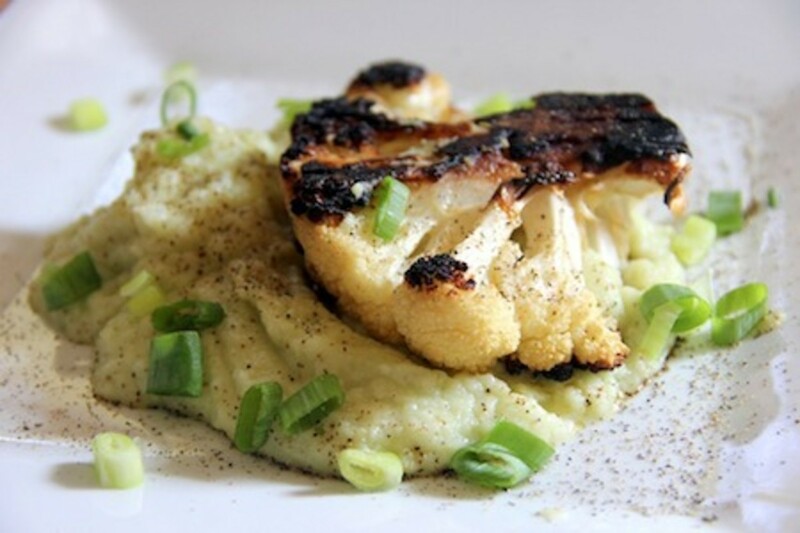 The puree is creamy and smooth and has just the right amount of flavor to not overwhelm the subtleties of the seared cauliflower.